Spanish band from the late 80'S, follower of Joy Division, or Décima Víctima, Último sueño. Their sound sometimes resembled "La Frontera". 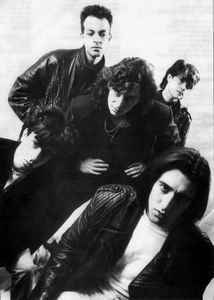 This band founded in León in 1984 recorded 'Déjate caer' their first album with Polydor in 1988, with a single: 'Mueve el culo/No disparar'. They recorded two more albums: “Cuestión de honor” (1992) and “Tres” (1993).